Social Media is more exciting than any game. The ground of this game is global with unlimited players and opponents. The most exciting part of this game is that you get to see some new rules every day that changes the scores of the game completely. And adding to the finale is your Social Media Plan. Yes, you heard it right! Your plan is the base of your Social Media Strategy. Another aspect that plays an important part when it comes to making your plan successful is its evaluation. If you are just executing the things that you have planned and not evaluating that where it is going right or wrong, then you are making a big mistake. With cut-throat competition and new updates every day, it is important to evaluate your social media plans and see where the performance scale of your brand is going. And to evaluate there are some parameters that you would need to follow while evaluating your plan. 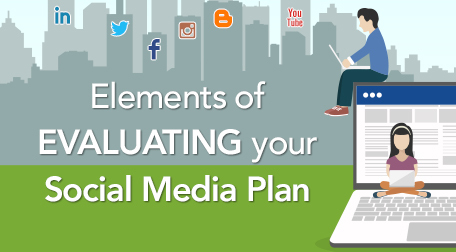 Let’s have a look at the must-have points for your social media plan to evaluate them. 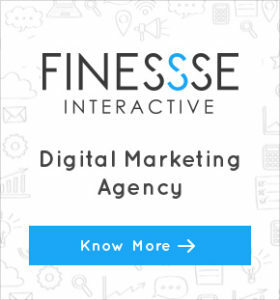 The first and foremost point is to have a connect between your social media plan and overall marketing plan. It is important to evaluate if your social media is supporting your overall marketing goals or business objectives, if not then it’s time to reconsider the plan. Moving forward your plan should also focus on the objective and goals you want to achieve from your plan. Evaluate whether, you want to get Leads, Revenue, Awareness, Brand Reach, Loyalty and Retention from the plan? Also evaluate the goal and key performance indicators that you want to track and what targets you want to achieve by them. Target Audience is one of the most important factors in a social plan. Evaluate if you are reaching the right target audience or not. Also, if your targeted audience is connecting well with your page or not. By this you will be able to know if you need to filter out your audience or not. You will also be able to evaluate if you want to re-target your audience again or not. Social Media gained a new dimension with influencer marketing. You have to evaluate if your social plan will get a boost with influencer marketing or not. Evaluate who are the key people in your industry who can be best to connect with and who can encourage new followers for your brand. Evaluate what media ads will benefit your brand. Do you want to increase leads or engagement, or will you pay for ad space on a website and how will it benefit you or your brand? What is the total budget you want to spend on ads and media activities for your brand and divide the budget according to the channel and ad type. So, now that you know the important elements of evaluating your social media plan, you can easily check if the performance graph is going upwards or downwards.